Empowering people to overcome barriers and move forward with confidence to excellence – this is what has motivated me throughout my more than 30 years of experience as a psychotherapist and counselor. A comprehensive education, together with training and experience, combines with my spiritual base, intuition, sense of humour and insight to create meaningful relationships. 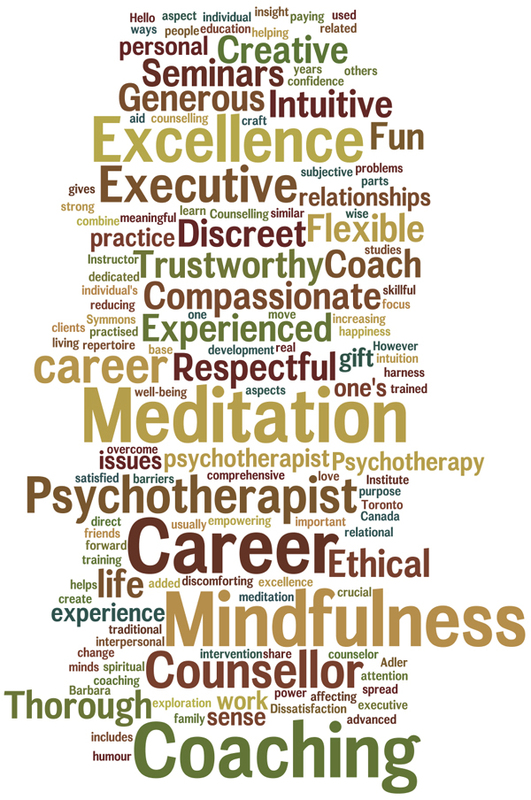 Continuing education in many related fields, including coaching, adolescent development, career counseling, solution focused therapy, post trauma, and emotional intelligence.